Biscuits and gravy is one of my favorite breakfast dishes. 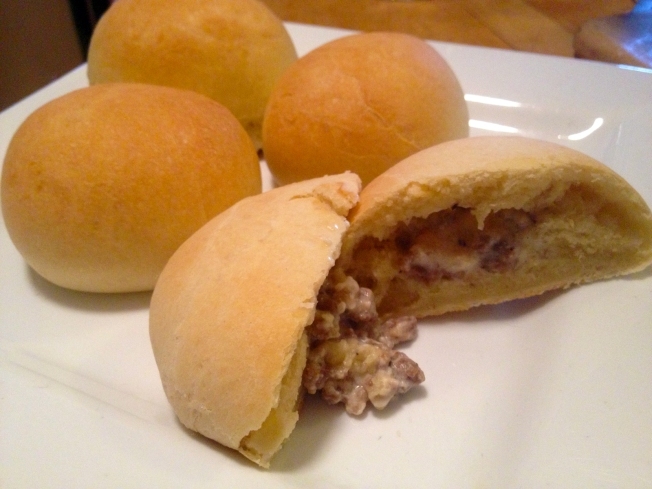 Recently, while enjoying a jelly filled donut at my neighborhood bakery, Baker & Nosh, I got the idea of trying to put sausage gravy inside a biscuit for a fun twist on this traditional breakfast. With a few suggestions from owner, Bill Millholland, I started experimenting with the best way to create these little breakfast rolls. This final recipes works well, is easy to create, and you have the option of doing most of the work the night before so morning preparation is effortless. 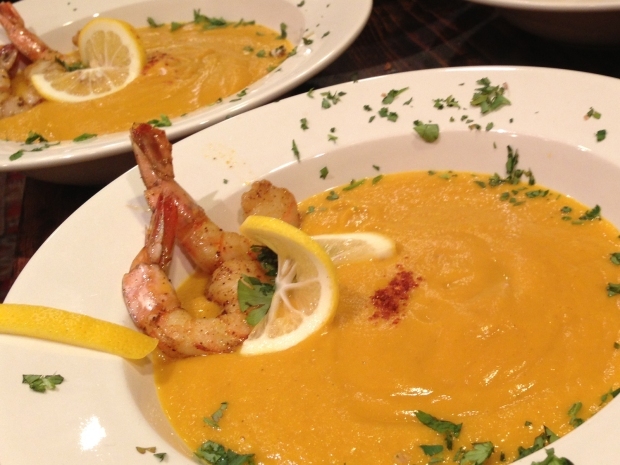 Make a citrus curried carrot soup with roasted shrimp that is prefect for those observing Lent, or those looking for a hearty seafood entree soup recipe. 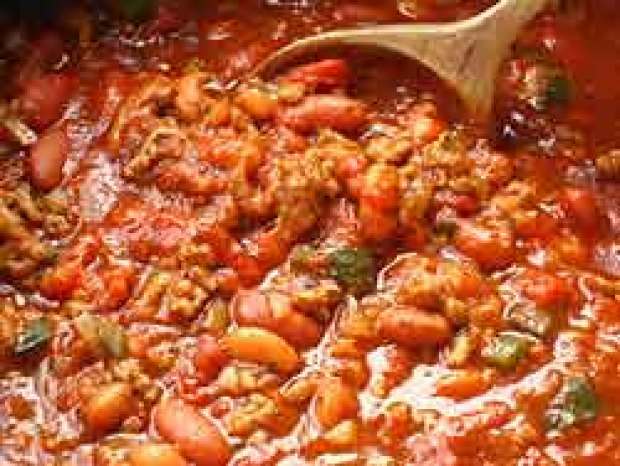 Wayne shows you how to make a healthy and hearty chili with only veggies. Mix yeast, flour and granulated sugar together in a medium sized bowl. Slowly pour in water while stirring and mix well. Set aside for about 10 minutes until yeast has activated and mixture is a bit foamy. In a large bowl, mix together flour and salt. Stir egg into the center of the flour and slowly add milk and butter. Add yeast and stir until mixture forms a dough. Knead dough by hand for about 8-10 minutes on a lightly floured work surface or use a stand mixture with a dough hook. Once dough becomes elastic, rub about a teaspoon of melted butter into the bottom and sides of a large bowl. Roll the dough around the bowl to coat all sides with the butter. Cover the bowl with a towel and set it in a warm draft-free place in your kitchen. Let the dough rise for an hour and a half until it has doubled in bulk. After the dough has risen, cut it into 10 equal pieces. Roll each piece into a ball. Using your hands, pull each ball into about a 3 1/2" circle and then shape it into a bit of a cup by pressing your thumbs down into the center. Add a tablespoon of the chilled sausage gravy filling into the center of the cup. Bring the sides up over the filling and pinch them together. Place the stuffed dough on a baking sheet, sealed side down, and mold your hands around it to create a uniform shape and to be sure the sealed edges are directly on the bottom of the baking sheet. Brush the surface with a bit of butter. At this point, you can let the buns rest for 30 minutes before baking or place them in the refrigerator overnight for baking in the morning. In the morning, remove buns from the refrigerator and let them rest for 30 minutes at room temperature before baking. Bake for 16-20 minutes or until rolls are light golden brown on top. These are best served warm. Try serving them with a side of eggs, fresh fruit, cucumber slices and fresh juice. Mash the sausage in the bottom of a large saucepan over medium high heat. Stir the meat as it cooks and continue to break it into smaller pieces. Once the meat has cooked through, about 5 minutes, add flour and sage (optional) and stir for an additional minute as flour coats the meat and browns slightly. Add milk and stir constantly until mixture thickens, reducing the heat if it starts to boil. You want a really thick consistency so that the filling doesn't seep out of the bun when baking. Season with salt and paper and transfer to a sealable container and refrigerate for at least 1 hour. I've also found that if I put the mixture in the freezer for an additional 30 minutes it helps keep the mixture more solid when putting it inside the dough.